Uncharted 4 won't be released on PS4 this year but the first three Uncharted games will be. 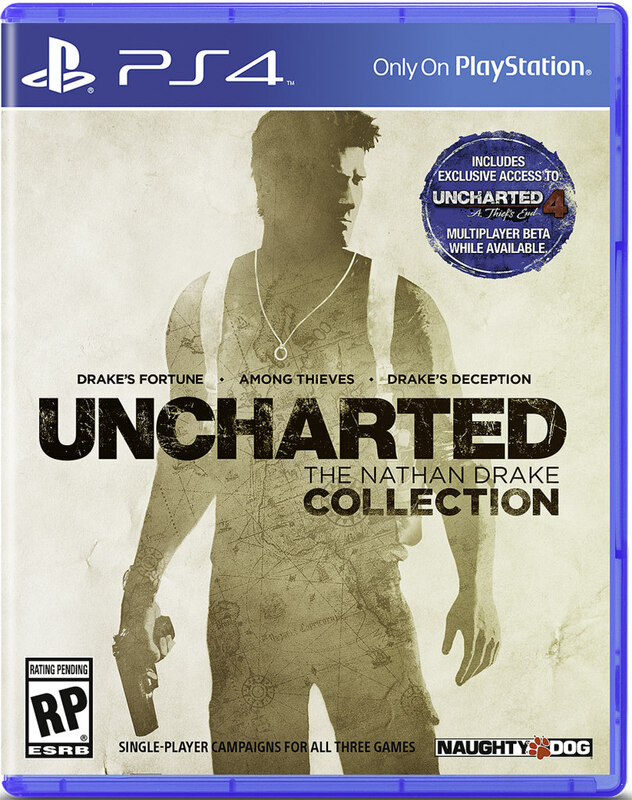 Today Naughty Dog announced Uncharted: The Nathan Drake Collection, an compilation of Uncharted: Drake’s Fortune, Uncharted 2: Among Thieves, and Uncharted 3: Drake’s Deception for the newer console. Uncharted: The Nathan Drake Collection will be released on October 9th in North America, the UK and Ireland. Mainland Europe will receive it two days earlier. "Since the launch of the PS4, we’ve seen plenty of requests across our Twitter, Facebook, and message boards all over the internet to provide remastered releases for the first three games in the Uncharted series, which sold an amazing 21+ million copies and garnered an average 92 Metacritic rating," said Naughty Dog's Arne Meyer on PlayStation.Blog. "We couldn’t agree more. What better way to prepare for Uncharted 4: A Thief’s End than to revisit – or play for the first time – the first three games that launched the fortune hunting icon that is Nathan Drake?" The three remakes will run at 60fps with 1080p resolution. Each game will also get a Photo Mode along with new screenshots. "We put together the list of these improvements and additions based on countless forum posts, messages, Tweets, and even through personal conversations we’ve had with a number of you over the years. More on these specifics in future updates." Maybe the biggest selling point for The Nathan Drake Collection, though, is that it includes "exclusive" access to Uncharted 4's multiplayer beta. Meyer didn't mention when this beta will be kicking off, though. Pre-orders for Uncharted: The Nathan Drake Collection are now available. 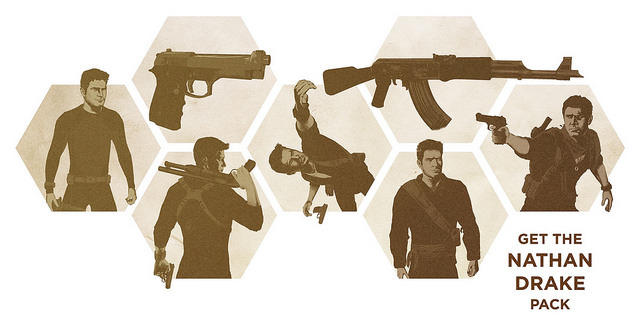 If you reserve a copy of the game, you'll get bonus single-player skins along with the Golden AK-47 and Golden 92FS. Customers who reserve the compilation through the PlayStation Store will also get a dynamic Nathan Drake theme for their PS4. The PS4 remakes for the Uncharted trilogy are being handled by Bluepoint Games. The studio previously developed the God of War Collection and The Ico & Shadow of the Colossus Collection for PS3. They were also responsible for the Xbox 360 version of Titanfall.